Arrival of the children of Sun Yat Sen, 1912. With the arrival of the Steamship Shinyo Maru last Monday from Japan and China, it carried aboard her the children of Dr. Sun Yat Sen, and they were warmly welcomed by the local Chinese of this town. Charles Mathews performs at the Royal Hawaiian Theatre, 1871. More on the “King of the Cannibal Islands,” 1873. Oh, have you heard the news of late? By the King of the Cannibal islands. With the King of the cannibal islands. Up in the Cannibal islands. For the King of the Cannibal islands. Nuhou, Volume I, Number 15, Aoao 3. Aperila 15, 1873. 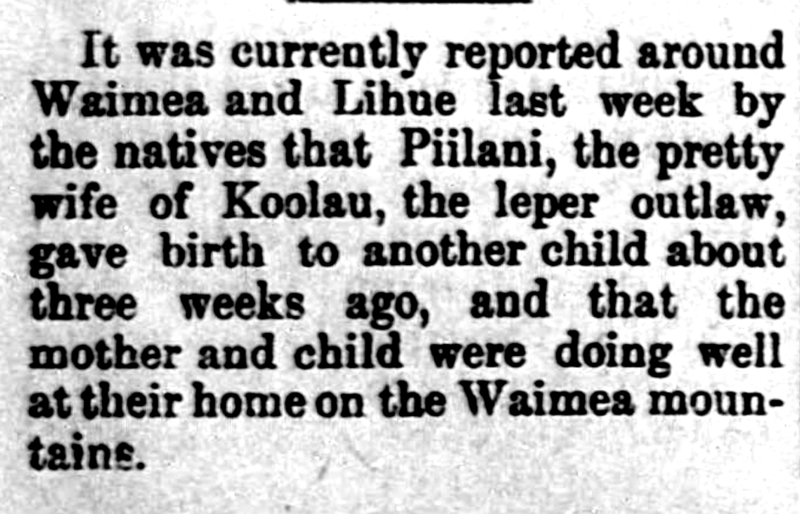 “Queen of the Cannibal Islands,” 1894. A Tale for the Nursery. The queen of the Cannibal Islands. This queen of the Cannibal Islands. “King of the Cannibal Islands,” 1830 / 1872. By 1830 at least, there was a mocking ballad called “King of the Cannibal Islands” that was popular in the United Kingdom (as seen in newspaper advertisements for various concerts). 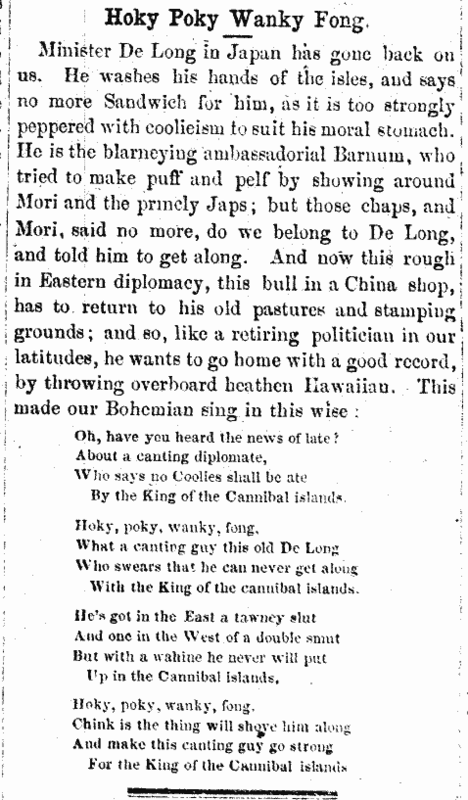 Click here for lyrics printed on a broadside in 1858. 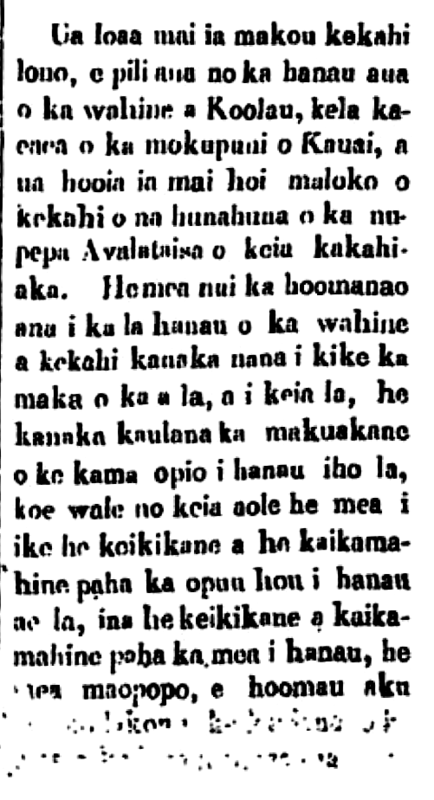 By many accounts this was written in response to Kamehameha II going to England in 1824. As a result of another famous trip taken by a Hawaiian monarch in 1874, the lyrics are adapted in America (the original song popular there much earlier). And ‘Frisco greets him: “How are ye? O King of the Cannibal Islands.